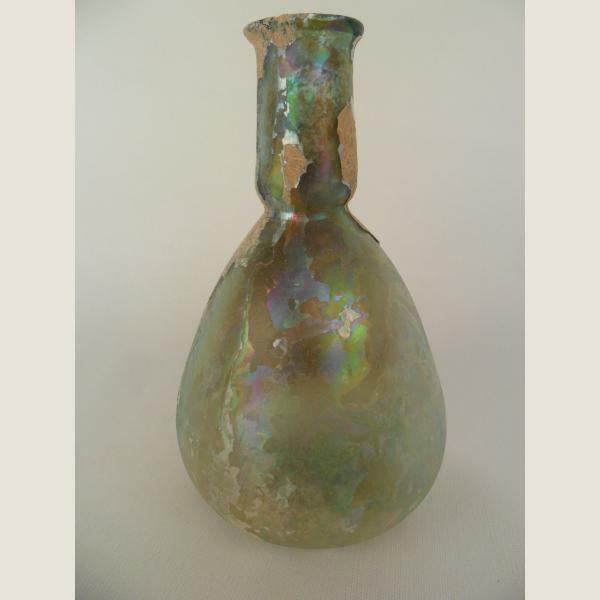 A very handsome large Ancient Roman glass vessel. 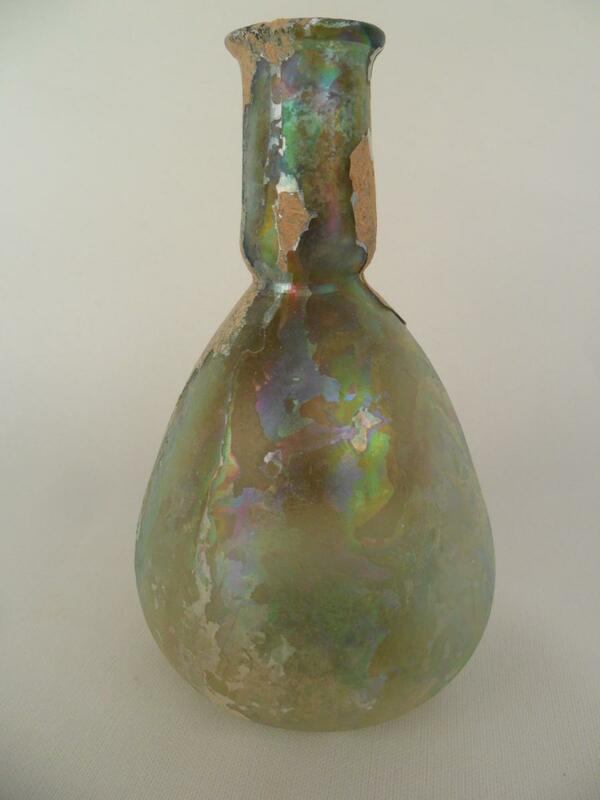 High Iridescence, the reverse has encrustation covering the under area. 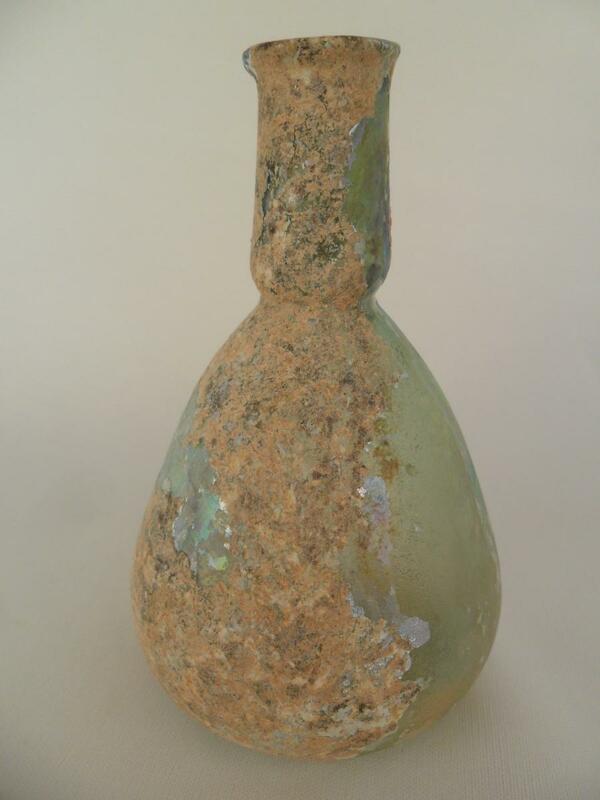 The globular body is elongated to a short neck, which is constricted between the neck and the body. Outwardly folded rim. Free-blown. 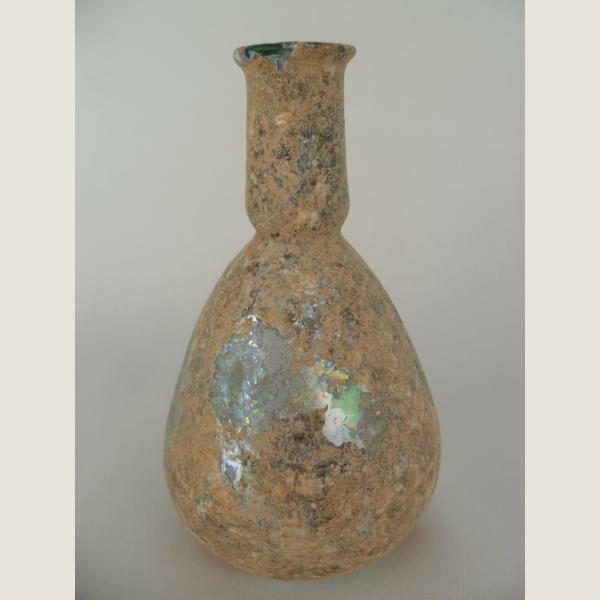 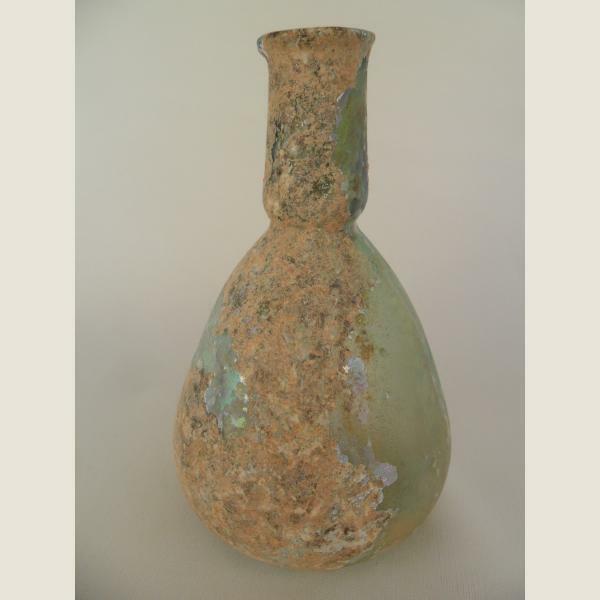 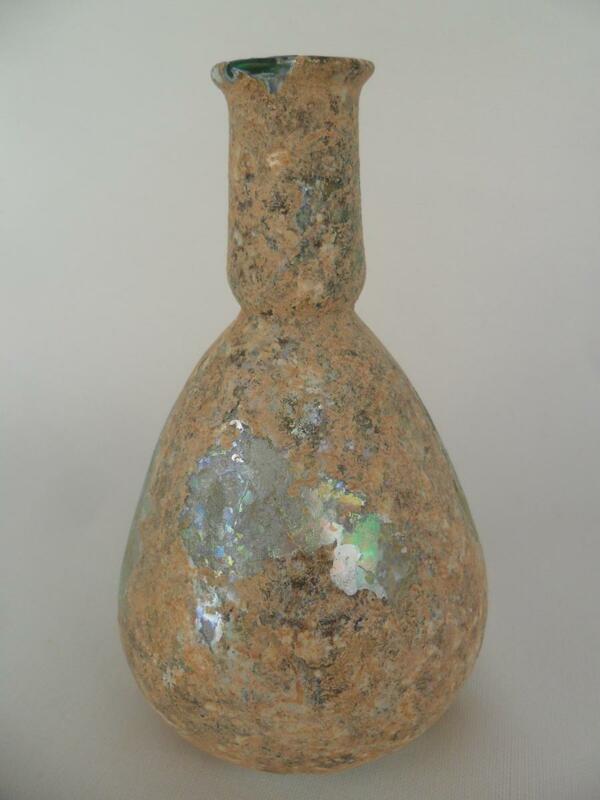 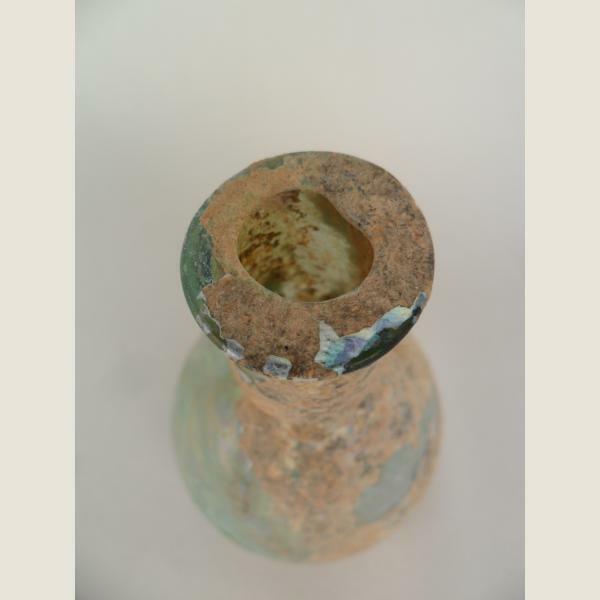 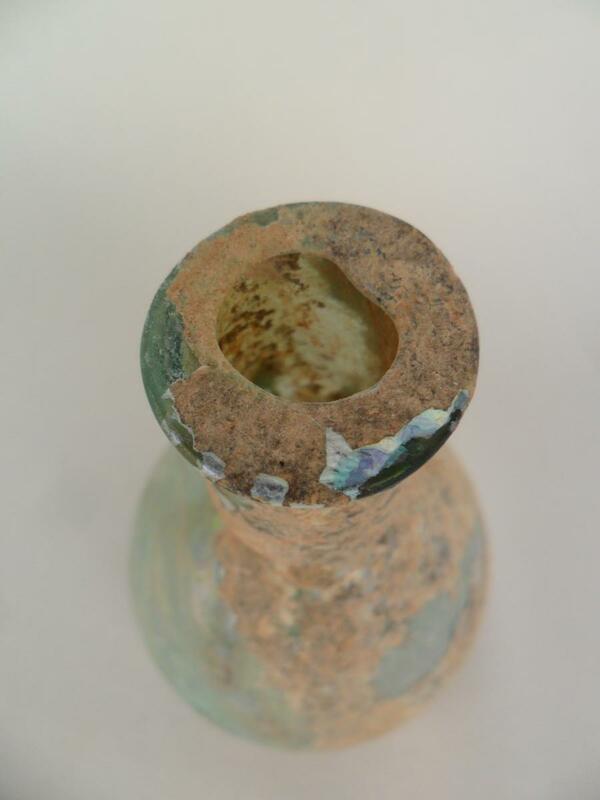 A very attractive example of the world's earliest glass.